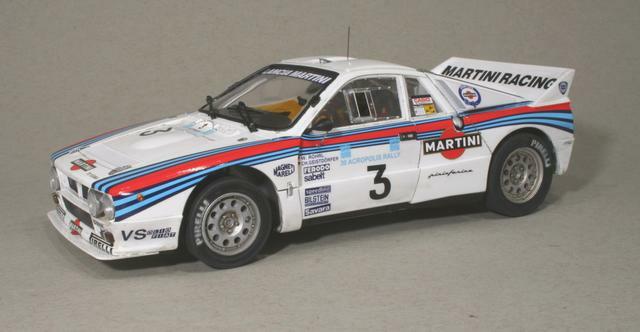 Just completed this Lancia 034. Its a nice kit but the chassis is not very accurate. Got to love these " mad group b " cars of the 80's & 90's . Excellent job. Looks like a LOT of work, but you nailed it. Superb! I remember these from my time as a rally marshall on various RAC rallies of Great Britain! Cool build, looks fantastic. 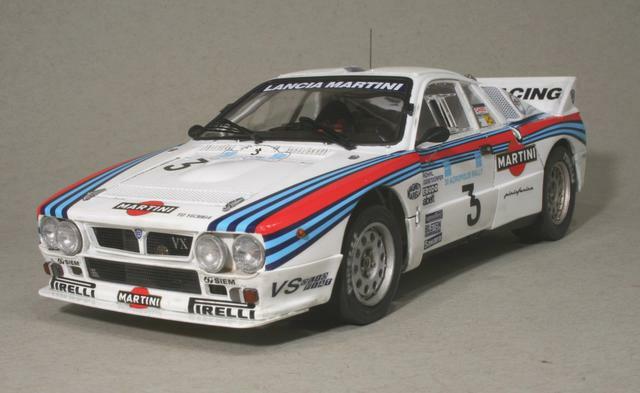 I love Group B cars, but always had a soft spot for the Lancias. 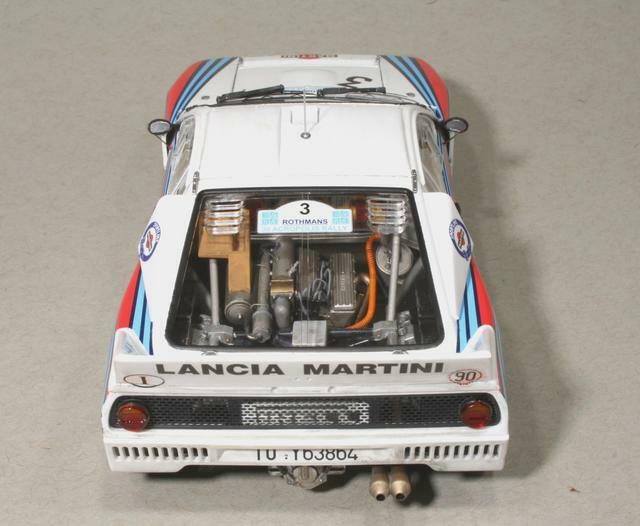 It looks great in Martini livery. Nicely done!